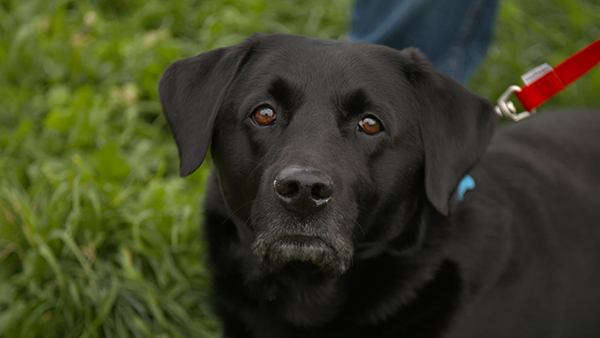 Scooby, a 7 year old black Labrador, is a very special companion to Samantha having entered her life at a very difficult time. Since the age of 17 Samantha has needed brain surgery each year to remove excess fluid from her brain, a condition called Arnold Chiari Malformation. After one particularly difficult surgery Sam was feeling very low, and she was advised that a dog may help find solace and companionship. Scooby didn’t disappoint, and the two became fast friends, together every day. Scooby has been there for Sam day in day out when she needed him most. However, Scooby has come to Fitzpatrick Referrals because he had become more and more lame with a lot of pain in his elbows due to a condition called Elbow Dysplasia. 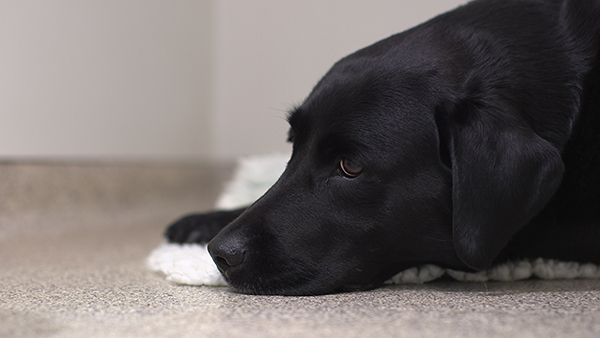 The family had exhausted all non-surgical options using drugs and physiotherapy to help Scooby but Sam knew he was still in pain every day. 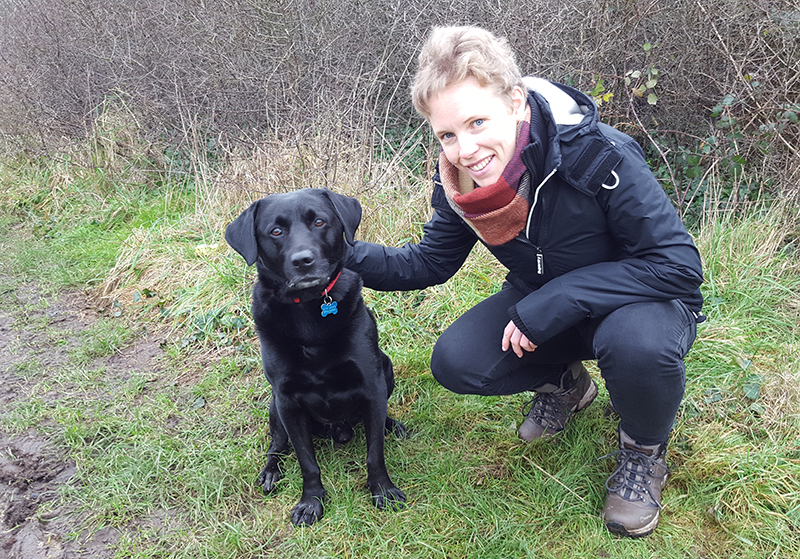 Scooby is the centre of Sam’s world and due to her own complex surgical history she already had a lot of knowledge regarding the potential risks and complications. Professor Noel Fitzpatrick examines Scooby to assess the extent of the damage in his elbows using advanced CT scan imaging and arthroscopy, which is a tiny camera that can go inside his elbow joints. The outcome was worse than they hoped for. Scooby was affected by severe cartilage erosion affecting both elbows. Noel felt that partial elbow replacements for both of his elbows was the option most likely to succeed because the extent of the damage was so severe. The inner half of the cartilage lining of Scooby’s elbows has completely worn away, causing painful bone-on-bone grinding whenever he walks. Noel replaces the inner half of the first of Scooby’s elbow joints using metal and plastic implants that are embedded into the bone leaving a smooth and pain-free joint surface. It is an intense operation and highly invasive, but Scooby is such a good boy, he bears it well and his recovery is smooth. A few weeks later, Scooby has the same procedure performed on the second elbow. However while he is on his road to his recovery, Samantha also has to have surgery again. Together they could both recover in each other’s company, comforting each other all the way.